The International Chamber of Commerce (ICC) welcomes Sylvia Tee as its new Regional Director for ICC Arbitration and ADR in Asia. Ms Tee will take up the position, based in Singapore, on 12 November 2013. 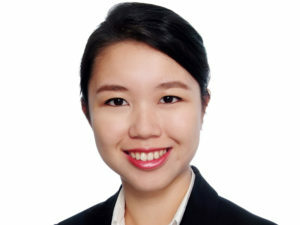 Currently Senior Associate in the Litigation Department at Allen & Gledhill, Singapore, Ms Tee will bring a diverse working experience of international arbitration to her new ICC role. As one of ICC’s four Regional Directors, Ms Tee’s main task will be to promote, throughout Asia, ICC’s range of dispute resolution services for the resolution of domestic and international disputes. She will promote ICC Arbitration, other ICC dispute resolution services and the ICC Young Arbitrators Forum (YAF) activities across the region. Ms Tee has handled a range of commercial litigation and arbitration cases in recent years, including shareholders’ disputes, banking disputes, claims for breaches of directors’ duties and professional negligence claims. While on secondment to the Legal Policy Division of Singapore’s Ministry of Law in 2012, she was involved, among other things, in the amendment of the International Arbitration Act. Ms Tee succeeds Kim Kit Ow, who has held the position since 2009. Ms Tee’s appointment in Asia comes at an eventful time for ICC dispute resolution worldwide with the International Court of Arbitration® of the International Chamber of Commerce celebrating its 90th anniversary this year and significant developments being made including the opening of an office in the heart of New York City to administer ICC arbitrations in North America.